Tissot’s financial situation was never easy. The artist was hypnotized by the lifestyle of the riches and, probably because of that, in his work, he devoted himself, almost exclusively, to portrait them in different contexts and scenes. However, his real interest was feminity and the accessories that suggest it; specifically, the costumes. When he returns from London to Paris, Tissot works in a series of paintings in which he portraits women of the local upper class. The reception, also called, The ambitious, was one of these works. In the painting, we’ll look at a woman in a party next to her husband. At her immediate left, we can see a man with glasses staring at her while, at the right, another is murmuring. 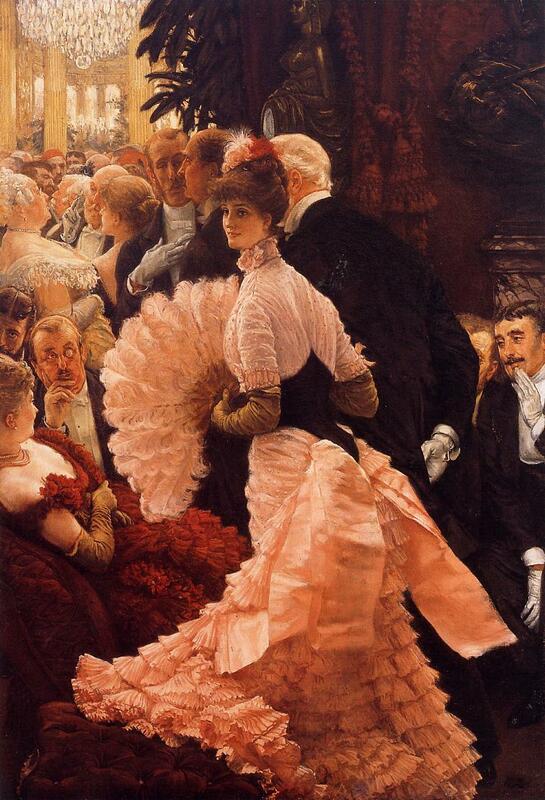 There is no doubt that Tissot was fascinated by pompous dresses. Curiously, he repeats the same kind of clothing in several of his paintings, always with an enviable technique and an obsessive attention to detail, just like one of his teachers, Jean-Auguste-Dominique Ingres. His preference for sumptuous dresses and his interest in fashion, ironically, were the end of his career: the upper classes knew Tissot as “the painter of the new riches” and his work, at the end, wasn’t never really appreciated. ~ by Álvaro Mazzino on March 4, 2011. In contrast, the Desire 816 is powered by a non-removable, Li-Po 2600 mAh battery offering a stand-by time up to 737 hours. In addition to this, the talk time provided by the Samsung and the Desire 816 is 18 hours and 21 hours respectively. How much would a painting of such be worth. This entry was posted on March 4, 2011 at 10:53 and is filed under Realism.You can follow any responses to this entry through the RSS 2.0 feed.You can leave a response, or trackback from your own site.